This is a comprehensive review and in this review I want to share with you my own experiences of using this effective electric shaver. Studies have shown that at least 40% of males are actually suffering from skin sensitivity which affects their shaving and what they choose to shave with. 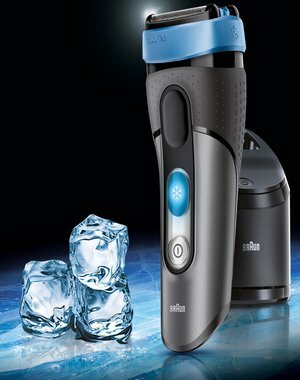 Braun CoolTec shaver has unique technology which is designed to cool down your skin while you shave. This shaver is truly a brilliant means of addressing problems of skin irritation, inflammation, and unwanted itching. This electric shaver will give you a close shave within a very short time period. This is the world’s first shaver that features active cooling technology. Due to this, you will have an enjoyable shaving experience without any cuts or burns on your skin. This electric shaver will give you a close shave like Braun 9 series within a very short time. As this is world’s first shaver featuring active cooling technology I think it gives you an enjoyable shaving experience without any cut and risking burns on your skin. You already know that this company makes, with regards to their proprietary, cooling technology. This technology is the biggest part that makes this shaver a unique product when you compare it with all of the other shavers on the market. CoolTec Cooling Technology – The Braun CoolTec Men’s Electric Shaver will help steer you away from irritation caused by shaving. 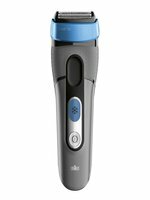 This device specifically features an active cooling technology for keeping your skin comfortable while shaving. Suitable for Wet and Dry Use – This wet-and-dry-friendly shaver will minimize burning, abrasions, and redness. It is completely equipped to conform to every facial feature for the closest shave with a three-stage cutting system. TEC (thermo-electric-cooler) Technology – This electric shaver features the new and latest technology called TEC (thermo electric cooler) which can transfer heat from one side to another side of the device. Then the one side will cool down while the other is warmed up. This can also reduce the temperature of the shaver while shaving. Washable Design – This is designed with a unique washing capability which helps the user to clean it with ease. Because of this advantage, people are choosing this shaver because the cleaning system is very helpful. Cordless Style – You can use it without a cord for up to 45 minutes for shaving time and for more than 15 minutes of cooling time with one single charge. Clean and Charge Station – It comes with 3-action maintenance which cleans, recharges and lubricates the shaver for efficiency. An additional advantage is that this shaver can be used without applying cream or gel to the face at all. In fact, the use of foam, gel or cream is not encouraged to avoid thermal issues and possibly damage the shaver. Since there has been little to no irritation caused by this shaver, you will not feel the need to use an aftershave balm. It is possible to use this shaver for a wet or dry shave. Is Braun CoolTec The Right Shaver for You? Though it is one the top electric shavers of 2018, those of you who have sensitive skin, it’s probably not the most effective option for the people if you consistently need to trim off a heavy amount of thick hair. 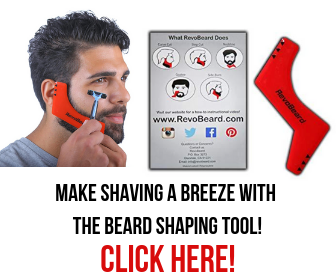 A person with a very thick beard will need to perform several passes over the same part to obtain the same results of a shaver with a higher quality. You should be aware that it is not the shaver that will provide you with the utmost closest shave provided by a disposable blade or even top-end shavers. Those people having very thick hair are advised to go for a more highly advanced Philips Norelco shaver for getting that extremely close shave. Finally, I’m very pleased with this product, but those who have thicker beards have to wait and see if they combine this CoolTec feature. A cooler and dryer face will regularly provide you with better results when dry shaving and this shaver definitely helps you with that. However some people that have medium density beards should definitely choose this because I think it will please you with the results. It’s a very refreshing shaver and it’s very desirable. Generally, you can expect to be happy by this particular shaver. It is really the best Braun electric shaver for people that have sensitive skin and this is the only one on the market that is able to decrease redness and irritation after shaving for those of you who have sensitive skin.